TODAY, almost every Zambian regardless of age knows the Tilowa comedy tagline. The funny phrase went viral on social media and has become a centre of comedy around the country. Knowing Bittersweet poetry is behind ‘Tilowa’, a few would challenge the claim that it is one of the leading art platforms in Zambia. Bittersweet is a Zambian– owned art platform, was created with the aim of promoting poetry and encouraging many that had stopped writing to revive their passion. Realising the gap existing in the art of poetry in the country, founders Kapembwa Wanjelani, 32, and Mwape Mumba, also 32, formed the poet platform in 2007, a few years after they met at St Clement Secondary School in Luapula Province where they both schooled. “Our passion for poetry grew more when we both started taking literature in English as our option subject at secondary school,” Kapembwa Wanjelani said. For Mr Wanjelani, poetry is not only supposed to be entertaining, but should also aim to be educative when people speak their minds. “I remember, we would write songs about the hard life of boarding school experiences by sitting around in a circle and making a beat box and free styling some lyrics,” Mr Wanjelani recalled. The Oxford dictionary defines poetry as literary work in which the expression of feelings and ideas is given intensity by the use of distinctive style and rhythm. Based on this definition, the two have a goal to get Zambian poetry recognised worldwide through revamping the reading and writing culture among Zambians. “I remember in the early 2000’s, there was a learning platform called Taonga Market, it was a very good initiative for the young people because young children developed reading and writing skills at an early stage,” Mr Wanjelani said. 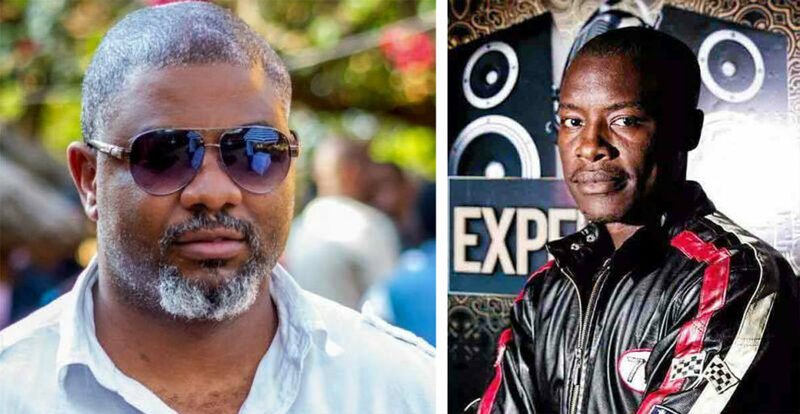 However, the duo did not immediately follow their dream as after completing their secondary education, they both enrolled at the University of Zambia (UNZA) where Mr Wanjelani obtained an undergraduate degree in Ecological and Environmental Sciences in 2009. In the same year, Mr Mumba graduated with an undergraduate degree in Public Administration. Prior to the establishment of Bittersweet, the two started by reciting poems at UNZA through the Chi-alpha fellowship in 2006. “When we started presenting our works, people never knew us and the fellowship itself was small,” Mr Wanjelani. To get public recognition, the two later established a poetry TV show which was airing on Zambia’s national broadcaster (ZNBC). “At the beginning, it was challenging, you know poetry is not an art that can be easily liked, someone has to be interested so we had a few followers,” Co-founder Mr Mumba said. Although the TV programme ended with some unaired shows, the two did not give up but went on to organise the first Bittersweet poetry show at La Gondola, Arcades in 2011. The show was a success, with every show that followed attracting more people to attend. From then, the two shared their talents whenever an opportunity presented itself. Among the first to recite poems on the platform are former chairman of the Zambia National Arts Council Mulenga Kapwepwe and former president of MISA Zambia Daniel Sikazwe. “We never expected to have a lot of people at our first show, we were surprised when the venue was fully packed,” Mr Mumba said. Though the duo had challenges running the first few shows due to lack of funds and support, the two continued carrying out small events that helped to put the show on the limelight. “We hard challenges from securing of the venue for live shows to partnering with media stations that can record poems from the live shows played on air and TV,” he said. In 2012, the two managed to sign up professional poets on their platform. This saw them move the venue from La Gondola to Mulungushi International Conference Centre to accommodate atleast 500 people since the number of people attending the events had risen. Today, Bittersweet Poetry is one of the most active poetry groups in the country, regularly holding shows to keep its fans entertained and educated. Ludo, Kstar, Luka Mwango, Malachi, Genesis, Loose and Xander are some of the poets signed with Bittersweet. With these poets Bittersweet has recorded exciting poem pieces like This Is Me and the popular Tilowa by Kstar, Scars of Love by Malachi, Future Us by Luka, Side Chicks by Ludo and Brazilian Hair by Genesis. On Tilowa, the comedy phrase was originally a song produced by signed bittersweet poet, comedian, singer and actor Kstar. “It’s just for fun, we realised people loved it and we took it to comedy, now it is being used to sensitise serious issues like the Tipima campaign by the Ministry of Health,” Mr Wanjelani said. He explained that the phrase can be used as a hashtag on social media or in real life to create an awareness of something that is negatively affecting the society. Co-founder Mr Mumba shared that before Bittersweet was established, talent was being buried due to the unavailability of platforms. “We now hold poetry shows every fortnight on a Saturday at 19hrs, it runs for two hours, with three quarters of the time dedicated to our confirmed poets,” he said. The famous poetry show attracts poets of all ages; they come through to recite their work to an audience that ranges from students to those belonging to the corporate world. Currently, Bittersweet is having Imitikula School Tour around the country. The art group is visiting schools to talk about poetry and its benefits as well as highlighting some vices that young people go through. “Creative writing fights bad habits, peer pressure and helps young people to grow into responsible productive individuals,” Mr Mumba said. “We believe in empowering the younger generation and providing a platform for the expression of their talents,” he said. With its running motto “the unspoken voice alive”, the platform is now a registered member of the Zambia National Arts Council and it has also incorporated other arts like music, writing, comedy and dancing. “Poetry is an expressive Art that grows one’s self esteem. This enables an individual to better express themselves, thereby building a strong character that is not easily persuaded by peer pressure,” Mr Mumba explained.